Post #86 - 2016 in Review including Top 10 photos! My 2016 was filled with many amazing birding experiences and memories. 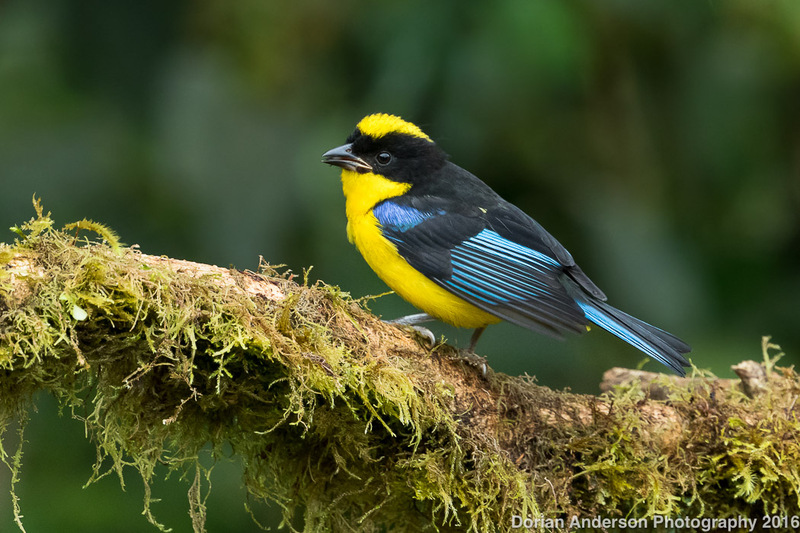 My two trips to Colombia were certainly the highlights, but my first cruise ship pelagic, my attendance at various birding festivals, and a newfound interest in 'county birding' were certainly noteworthy as well. I also this year pushed my ABA Life List (non-Hawaii) to the 700-mark with the addition of White-throated Thrush in Texas in February. That plateau is one at which I have been looking for nearly 30 years, so it felt really nice to finally join that club! Let me first say that I realize I have shorted readers on Colombia coverage. This is by design as I have promised to give the Audubon Society first crack at my content. We'd hoped to be able to release that content after the proposed peace deal was signed this fall, but the failure of the measure to pass a public referendum has delayed our plan. We want the content to make a nice 'splash' once the peace process is officially done. That being said, a revised peace deal looks like it is right now being brokered, so I hope to be able to share more Colombia content in the near future. I will say that as important and as historic as the peace process has been, there really isn't any reason to delay travel to Colombia. 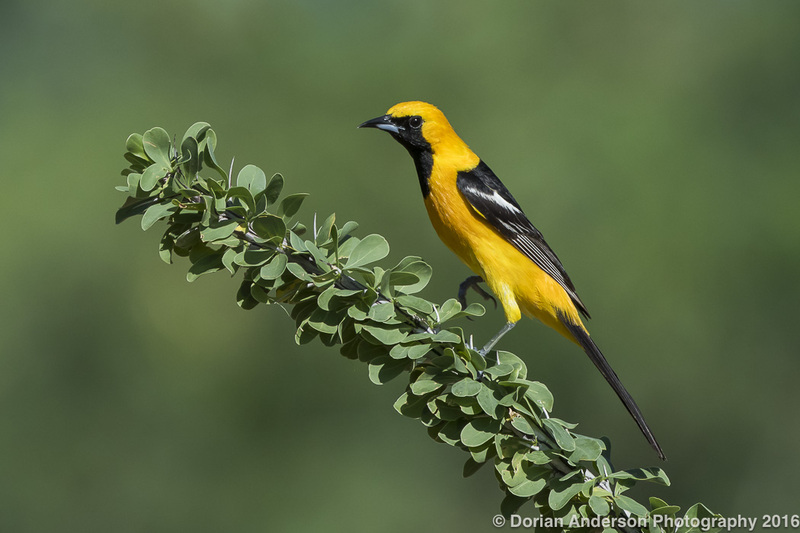 The country and its people are fantastic, and, with a bird list approaching 1900 species, it should be at the top of every birder's attention. 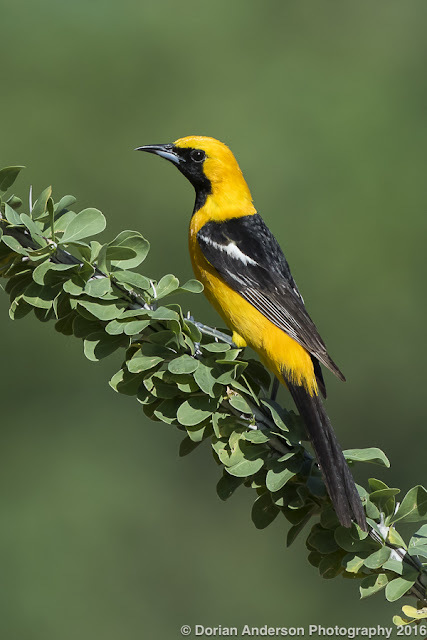 Closer to home, I went to Texas twice, once in February for the Laredo Birding Festival and again in November for the Rio Grande Birding Festival. Between those events, I made an appearance at the SW Wings Birding Festival in August. At each of these I met many wonderful folks and managed to see some cool birds. The same can be said for the cruise ship pelagic I took in May. Those excursions, coupled with a few new birds I added in California and few 'armchair ticks', pushed my non-Hawaii ABA list from 698 to 713. 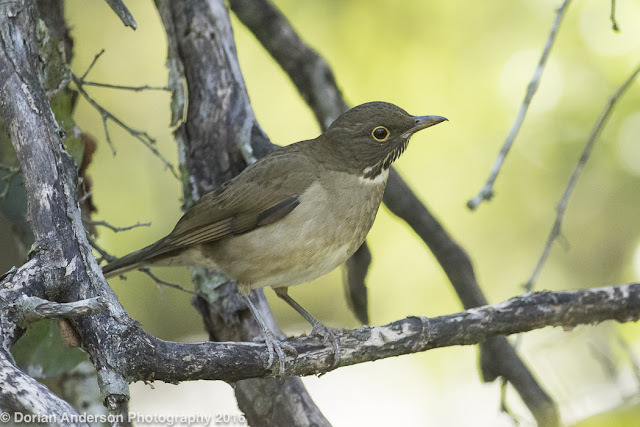 712 - Dusky Warbler (4) (CA, Oct) - Found by Roget Schoedl and me in Orange County! Closer to home, 2016 was a continuation of the SoCal holding pattern that began in 2015 when we moved to LA to be closer to Sonia's family. 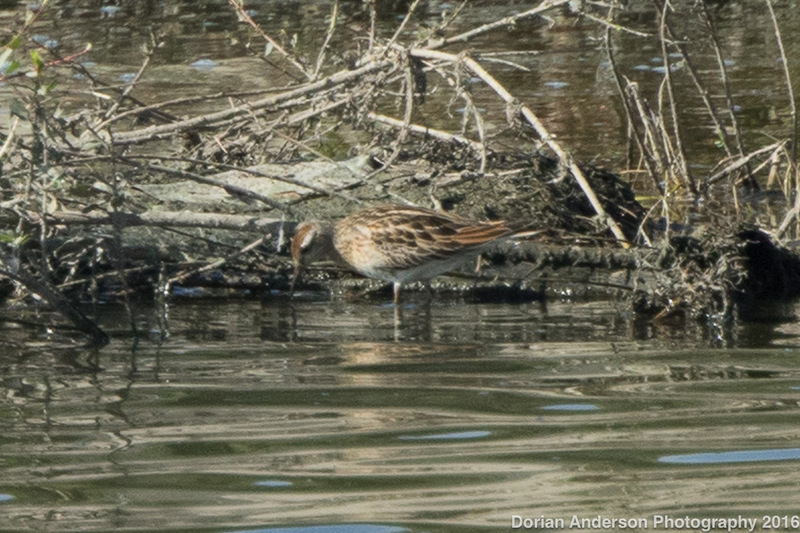 I greatly - and only very begrudgingly - prioritized birding over photography this year. While I actually prefer shooting, the results around here have been too inconsistent to justify passing on what is usually good birding. If I drive a few hours to escape the coastal hoards I can find the personal space in which to shoot, but weekday work and weekend family commitments usually prevent that. There is decent birding much closer, so that's where my time has been spent. Most of my local birding was done in Orange County, but I've more recently done some birding in my home LA County to at least get a flavor for it before we move. I did also find a tiny local park near our apartment that I try to visit once a week or so. Building up my park list has been a fun diversion on those days when other commitments or traffic prevent getting further afield. Overall, my photographic output plummeted this year; It was my least productive in the last seven. My standards for a keeper have certainly increased over the years, but most of the decline was due to lack of subjects here in 'the sprawl'. I did manage to squeeze out a few good frames, and I'll give you these as my 2016 Top Ten. Please click images for nice, high resolution views!!! So, that's basically what went down this year. I want thank everyone for hanging in with this blog. The more time I spend birding, the more I believe that birding is as much about the community as it is anything else. 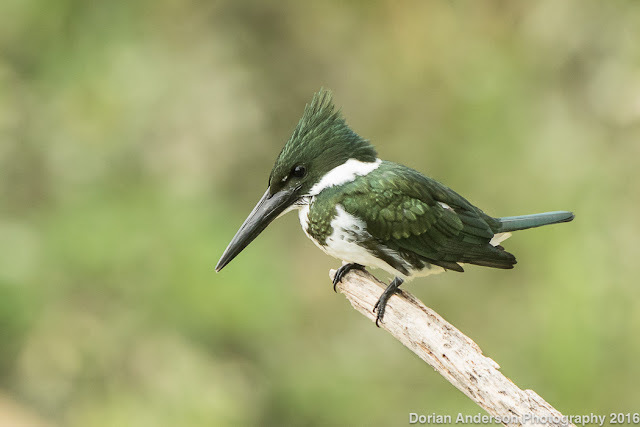 This blog is one small little way that I can stay connected to that community, so its nice to see at least a few of you enjoy reading what is effectively my personal birding journal. There's lots more comming next year, so please stay tuned! Best of luck with your own 2017! 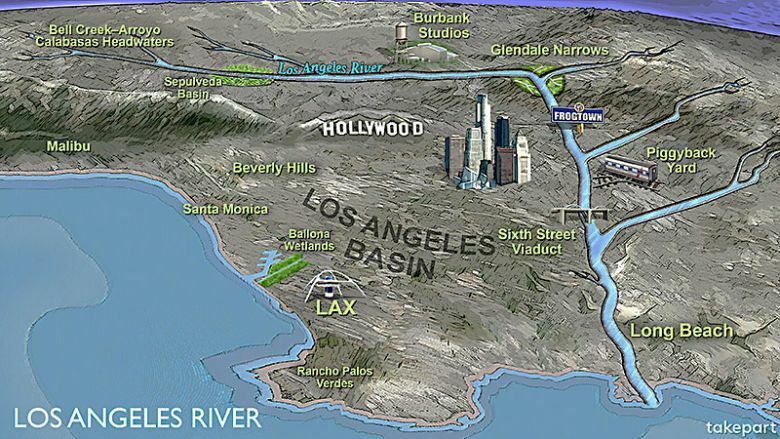 Those who read regularly know that I have often lamented my overly-urban existence here in Metro Los Angeles. I have, however, had a couple of birding experiences in my current surrounds that have etched themselves forever into my memory. Today I am going to share 3 of these stories with you. In August, an American Golden-plover appeared in the LA River in downtown Los Angeles. 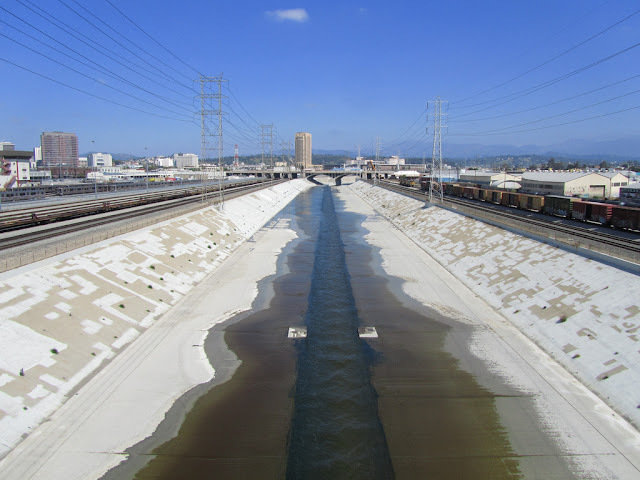 For those unfamiliar with it, the LA River is not so much a proper river as it is a large concrete drainage ditch. It's heavily littered and generally polluted, but, as the only water for miles, the shallow flow does attract a fair number of ducks, shorebirds, and gulls. The river also attracts countless homeless, most of whom reside under the various overpasses that span it. Interactions with the homeless are unavoidable when birding the LA River, but I've never personally had any problems with any of them. On the contrary, they've helped me to widen my perspective. Beach is about 25 miles, for reference. ....while others look like this. Back to the golden-plover. I had just observed it for my still embryonic California State list when a man came walking down the opposite, concrete river bank. He was yelling and gesticulating wildly. As he passed me on that far bank, he removed his shirt and pants, and proceeded to run into the water at ditch's center. 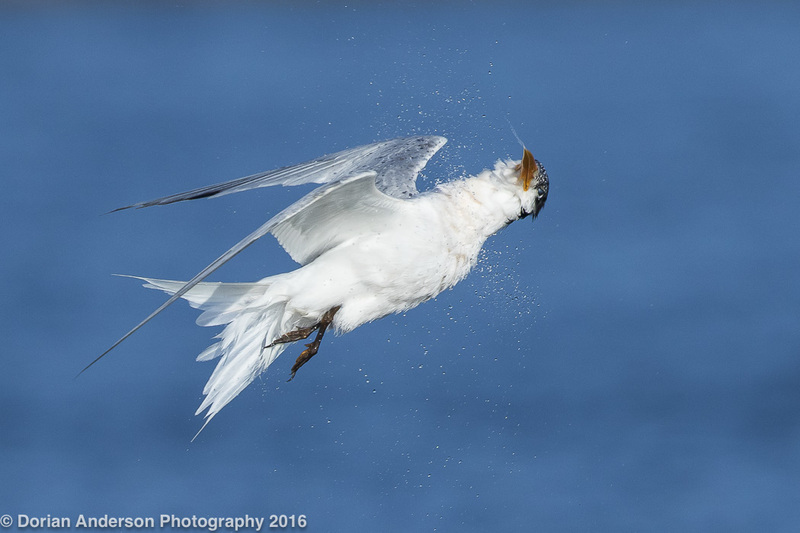 He emerged with a Western Gull carcass that he held above his head as he sprinted further down the shallow channel. Whether he had mental issues, substance abuse issues (his behavior was very indicative of PCP, particularly the clothing removal), or a combination of both I couldn't say for sure. Either way, my birding exploits suddenly seemed of secondary consequence to his circumstances. I wondered how far the man had fallen to reach that point. It was an equally sad and eye-opening meditation, and the golden-plover suddenly seemed of greatly diminished importance. Perspective, like rare birds, often surfaces at the least expected times. After Sonia's mom passed away (see last post), the hospice folks said they couldn't reuse or recycle the mattress they provided for her. I hate letting anything with potential utility go to waste, so I took the mattress with a plan to clean it and take it to homeless camp in South Central. I put the folding, semi-portable mattress in the back of the car seat and forgot about it. Fast forward to two weekends ago. 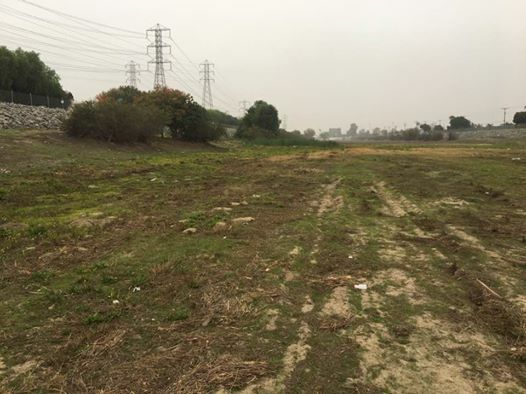 I decided to spend a morning looking for a locally rare Yellow-throated Warbler at Earvin "Magic" Johnson Park in Compton (Yep, Compton, its been cleaned up quite a bit from the NWA dayz). I arrived at 7am and spent the better part of the next 3.5 hours searching for the wayward warbler. There were at least a dozen birders present, but we were collectively unable to relocate the bird. Returning to my car, I saw the mattress in the back seat and realized I was already halfway to the homeless camp. I hopped back on the 105 Freeway, veered north onto the 110, and rolled into the camp 5 minutes later. The guys were admittedly a bit skeptical as I hauled the mattress out of the back seat, but a quick explanation dispelled any suspicions they had about me or the mattress. One dude laid claim to it, and they all thanked me for bringing what was otherwise trash to them. At the precise moment I was passing the park on my way home, I received a phone call informing me that the warbler had resurfaced. I swung in and collected the bird after a bit of additional searching. Though not a believer in anything divine, spiritual, or the like, I did take a certain amount of satisfaction in knowing that my effort to help someone else indirectly led me back to the warbler. It was karma at its finest. Last weekend I made a quick stop at my local patch, a small park that backs up to the San Gabriel River. 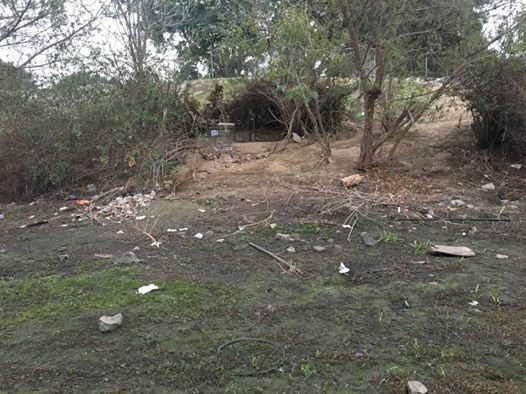 As far from a proper river as the LA River, the scrubby foliage that owns the ditch is also popular with the homeless. However, on that most recent visit, many of the regulars were missing, presumably ousted by the local authorities as is periodically customary. As I viewed this apparent former dwelling, birding again seemed insignificant in the grander scheme of things. To me the park and adjacent river is a convenient but generally crappy place to find birds; To others, it is - or, at least, was - home. All of these stories remind me that as much as I love my various birding lists and photographic adventures, at the end of the day it's just birding. Our lives are going to go on regardless of what birds we do or don't find/photograph. LA birding certainly leaves much to be desired from an aesthetic standpoint, but it's also served as a constant reminder of just how insignificant are most of my so-called problems. I'm am going to try to remember this during the holiday season. I hope you will too. 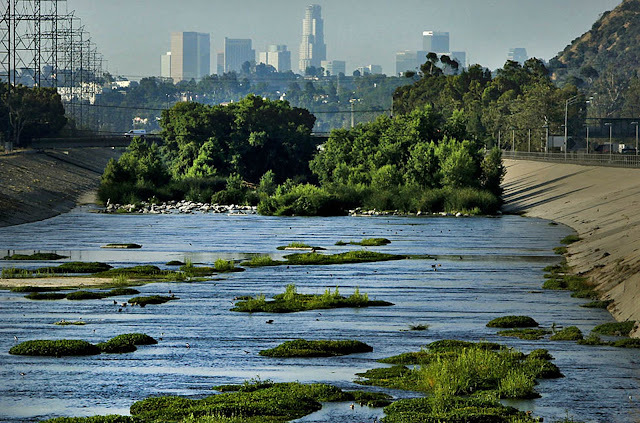 For the record, my best LA River bird to date? I did not find this, I just poached it in mid-November. It stayed for two weeks. Not even a lifer! Saw one in NYC a few years back. This post is going to be very long and much more personal than usual. If you make it through one post on this blog please make it this one. I will get to birds, I promise. Here goes. First, I should briefly summarize the two years since I got off the bicycle at the end of 2014 as it will frame what follows. Sonia and I were planning on moving back to Boston at the conclusion of that adventure. 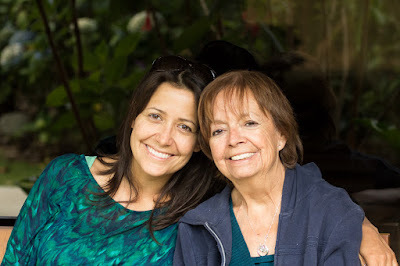 Our plans changed completely in February of 2015 when Sonia's mother was diagnosed with terminal colon cancer and given less than 2 years to live. As I had no job at that time and Sonia worked remotely, we decided to move to LA so that Sonia could be closer to her mom. I was fortunate to have a friend and former MGH/Harvard colleague offer me a job at USC when she heard we were moving to LA. We now have a perfect arrangement; She gets someone over-qualified to help her run her lab (we study small RNA biogenesis), and I get the freedom to travel whenever I want. That's how I have been able to travel so much while still holding a "real job". I hate my commute (60-75 mins, each way), but I otherwise enjoy the work and the flexibility it provides me. Our plan was to stay in LA until Sonia's mom inevitably passed and then move somewhere - anywhere - else. The familiar Boston was one possibility. The outdoorsy Colorado was another. Our respective professional situations would dictate a lot, but with Sonia working remotely in the travel industry and me holding a Ph.D. in Cell Biology and Genetics, I wasn't too worried about finding work where ever we ultimately landed. Fast forward to September of this year. Sonia's mom was taken off of chemotherapy and put into hospice care as her condition worsened. Sonia was at that same time offered an incredible job in San Francisco. Sonia turned the job down, citing the obvious need to be near her mom and family here in LA. The company - incredibly - understood her circumstances and made her a revised offer, one that bent policy to let her work remotely while her mom's situation resolved. At that time, Sonia and I would move to SF. It pains me greatly to report that Sonia's mom, Yolanda, passed 3 weeks ago. We were all in her home with her as she peacefully slipped away. I won't go into too much detail as that is really her family's story to tell, but I would like to dedicate this entry to her memory. She was one of the kindest, most caring human beings I have ever met, and she will be missed by all that knew her, myself included. November 30 would have been her 71st birthday. In the wake of these events, Sonia and I are slowly turning our attention towards Northern California. There will still be more people and more traffic in SF than what I consider ideal, but I am cautiously optimistic that the Bay Area and surrounds will suit us better than does Southern California. It is easier to escape SF than it is LA. I am familiar with the Bay Area from my undergraduate time at Stanford, so I at least have an idea of what to expect. LA was never a long-term option for us; Though we don't expect it to be, SF might prove so. Only time will tell, right? I will need obviously to resign my position at USC when we move in the next few months. This will hurt quite a bit as I am doubtful that I will be able to find an arrangement as perfect anywhere else. Rather than immediately looking for an equivalent position, I am, as of now, planning taking some time off to pursue a couple of other projects. The first of these is my book. I had hoped to have it finished by the end of this year, but that it just not going to happen. Working and commuting 60 hours per week is not at all conducive to writing, particularly when one understands that the book is as much about my alcoholism as it is a bird-motivated bicycle trip around America. It has been a really personal and very challenging process to expose myself in a way that I hope people will find both identifiable and interesting. I'm getting really close, so two full-time months to finish it off will probably do it. Here's a bird, since you've made it this far. This was taken here in LA County three weeks ago. What lies after the book project is finished is far less certain. I could always find work in some scientific capacity, either at a university or a biotech company. I am, alternatively, giving serious consideration to trying to make birding, photography, writing, and adventuring my full-time job. This would take a leap at least a large as my original bicycle trip, and I must confess that the whole idea is at this time both exciting and terrifying. There is certainly a degree of practicality that needs to be considered, but with a confidence in a scientific fall-back plan and a supremely talented and amazingly understanding spouse, the whole notion might just be crazy enough to work. There is also serious consideration being given to "Biking for Birds 2", but I'll keep the details of that prospect under wraps for right now. I would also like to know if any of you might have any interest in traveling/birding/photographing with me as a guide. I think that I am decent company and that I don't smell too terribly bad - most days. 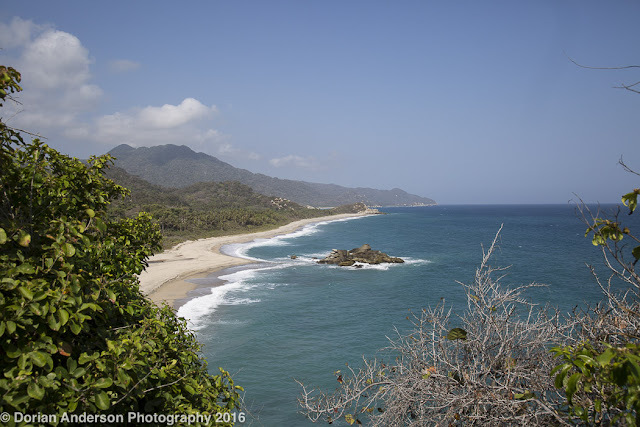 If I had a few folks who wanted to go to Costa Rica or Colombia I feel confident that I could put together something really awesome for us. I'm not sure I want or would be able to guide full-time, but, if I could fit some of that around whatever else I fall into, it might work well as a part-time gig. Seriously, I'd love to hear from you guys. Ideas beyond adventuring, writing, and guiding are also welcome - encouraged even. 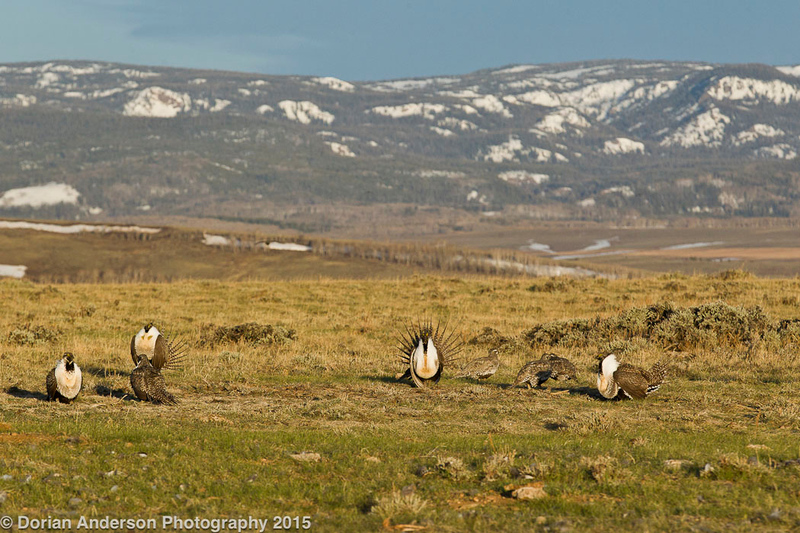 Conservation, non-profit, anything! 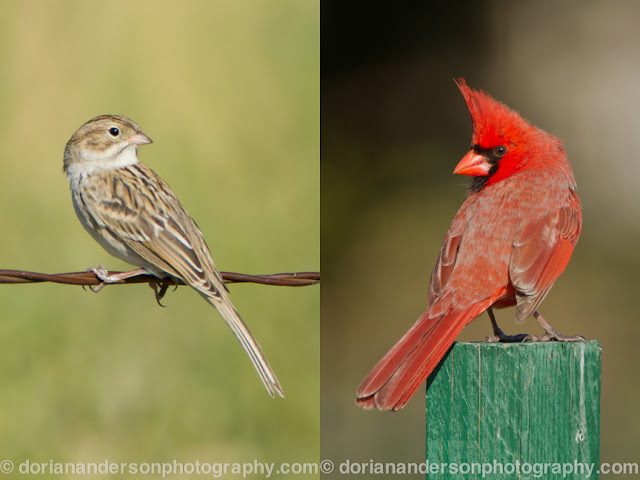 Birds occupy so much of my personal life, that I may as well think about making them my part of my professional life. If you don't feel comfortable commenting publicly, you can always send me an email at thespeckledhatchback@gmail.com. Public comments are great as they allow others to chime in on them, so please consider that. OK, that's it. I know this is a departure from the usual bird- and photo-centric content, but this is what's happening right now. The move is really giving me pause to think about what I want moving forward, and I wanted to share my situation and thoughts on it with you. Thanks for sticking it out; It really means a lot me. One more bird. This is a species that has surprisingly eluded me here is SoCal. They're so common that I kinda take them for granted. Their calls echo around any park or open space around here. We don't get much Autumn color in LA, so I spent quite a bit of time trying to position him against this small sample for the shot. I hope you like it. First I'd like to say 'thanks' to all my readers, regular and casual! Blogger's built-in statistics feature shows that blog traffic has really picked up in the last two months, so hopefully that means people are enjoying the content and passing it along to others (which I encourage everyone to do). Interestingly, there was another huge but temporary uptick about 3 months ago. 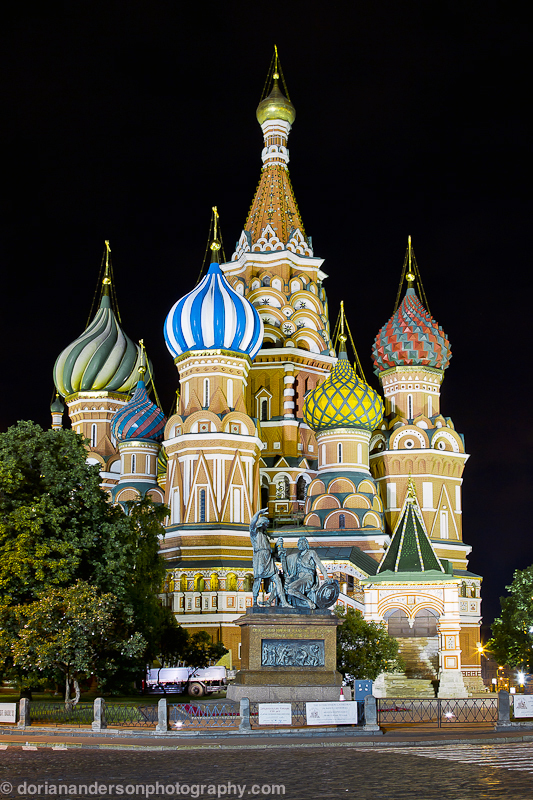 Those hits were actually coming from Russia at the time that that country was accused of internet attacks on various government and election websites here in the United States. I doubt it means anything, but the increased hits were significant and the timing very surprising. The more recent increase is due to increased traffic from North America, so I suspect that it represents more bona fide interest in the blog than the previously referenced Russian spike. "Is this where the Speckled Hatchback reading is happening?" Enough tomfoolery. As many know this past Friday was Black Friday, an consumer event that I avoid like the plague. I instead spend the day outdoors, predictably birding. My idea for this year was to try to see how many 'black' birds I could see on Black Friday. 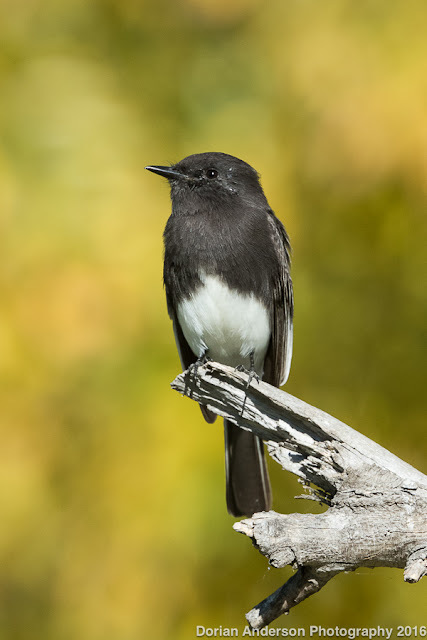 Birding around San Jacinto Wildlife Area in Riverside County, I found Black Phoebe, Black-necked Stilt, Black-bellied Plover, Red-winged Blackbird, and Yellow-headed Blackbird for a total of 5 black birds. This comically short list was more a by-product of being near a marsh than it was the result of a concerted or active search. I was, as usual, so preoccupied with photography on that beautiful morning that my plan to find black birds kind of got away from me. Curious to know if anyone can best 5? If not, then I'm the reigning "Black" Friday Big Day champion. Nonsense, right? It's still no sillier than what's already out there! I guess I wasn't quite done with the tomfoolery, sorry. Here's are a few shots from Friday morning to bring us back to reality. The pink water in these shots was by design. The pond where I was photographing was backed by some rocky hills that the rising sun imbued with a pinkish hue. 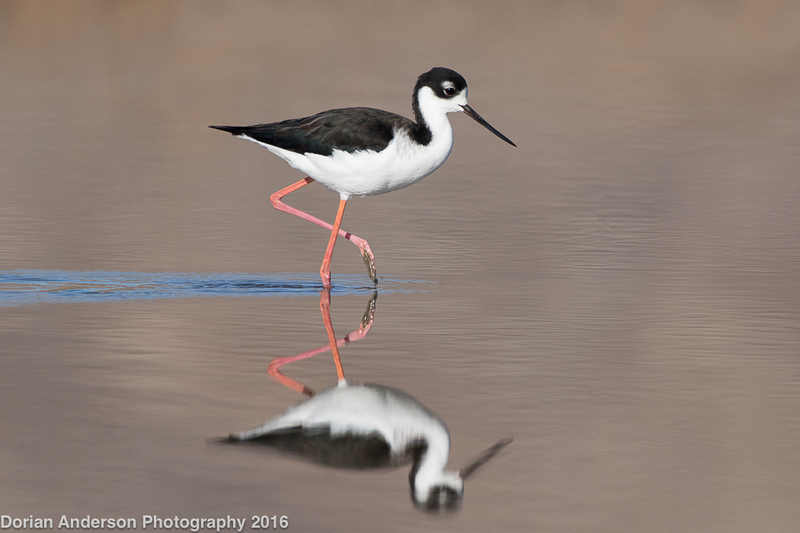 That color was reflected onto the water where I thought it complemented the species' red/pink legs nicely. 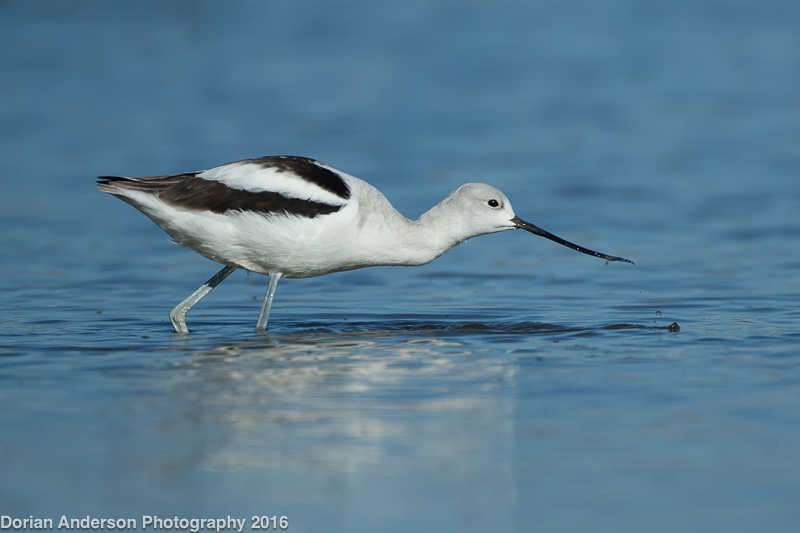 It is a bit of a departure from shorebirds in purely blue surrounds. 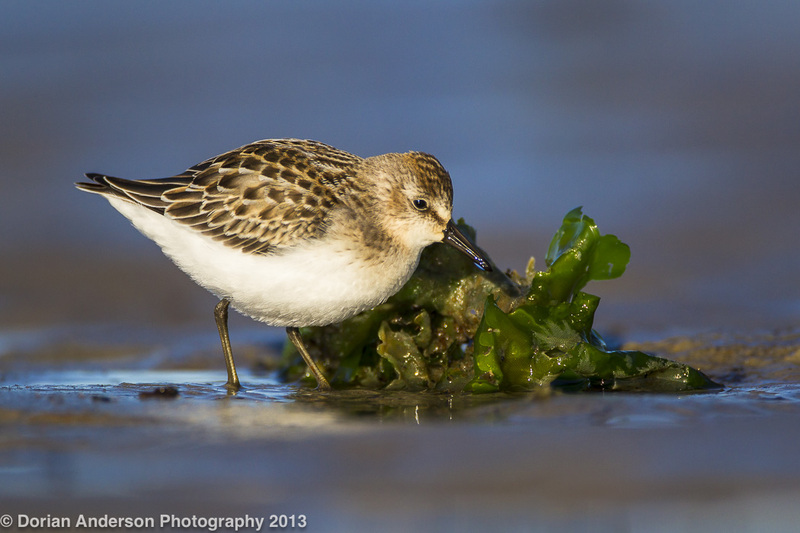 It is also worth noting that these were taken from my knees as opposed to my usual stomach when shooting shorebirds. This was to keep the entire reflection as well as add a bit more texture in the water. So, that's how I did that. Here's another shot where I stayed low; I traded the full reflection in favor of better subject isolation. That's it for this installment, Cheers! Post #82 - By request, how has my photography changed over time? Long with lots of photos! I was recently contacted by Light, a new camera and camera technology company. 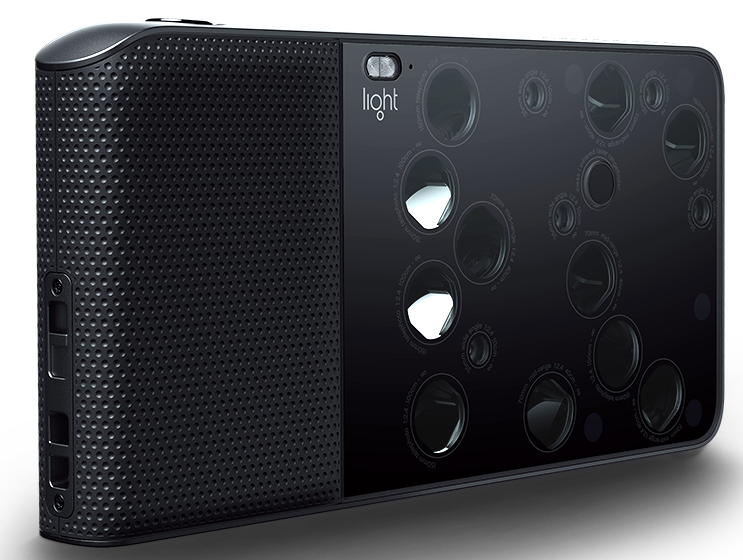 They are developing a cell phone-sized camera capable of competing with traditional SLR camera bodies and interchangeable lenses. In an admitted cross-promotional effort, the company contacted me and asked me to put together a blogpost about how my own photography has evolved over time. That post (or rather this post) would then be used as part of an ongoing series on their website that highlights the work of a number of photographers. I had to admit that I got a bit of a laugh when Light contacted me. I mean, I'm more of a weekend hack than anything else. They nonetheless insisted, and I finally acquiesced. I hope that at least some folks will find what I have to say helpful or informative! Let me just say quickly that Light's camera/technology is not designed for bird photography. 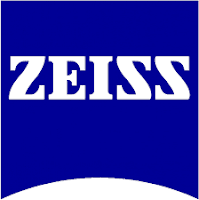 Their product is very clever and cool, but is suited instead for more general photography, the sort for which an SLR with a 24-70mm lens might otherwise suffice. With that out of the way, I'll dive right into the evolution of my own photography as so requested. When I first started photographing birds, I shot anything. It didn't matter what the context was, all I wanted was output. As a result of this, I photographed birds on feeders, fences, and a host of other man-made objects. Some of the photos were nice, but, as I gained more experience, I went to greater lengths to keep non-natural entities out of my frames. Now, I won't bother shooting birds on posts or even branches/logs that have been obviously cut by saws. Ensuring that my shots appear 100% natural adds both additional challenge and satisfaction to the process. Avoiding man-made influences in one's frames is as simple as making the decision to do it. There are some really nice frames of birds on man-made objects, but that style just isn't for me anymore. 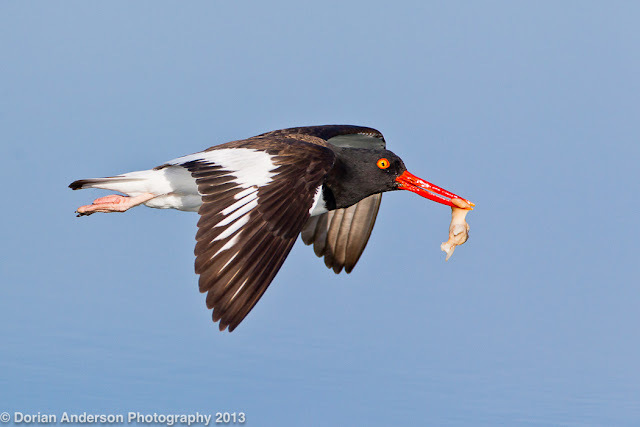 In my experience, shooting birds either well above or well below me rarely produces satisfactory results. There are certainly exceptions to this, but I usually go to painstaking lengths to be at the bird's eye level when I hit the shutter. 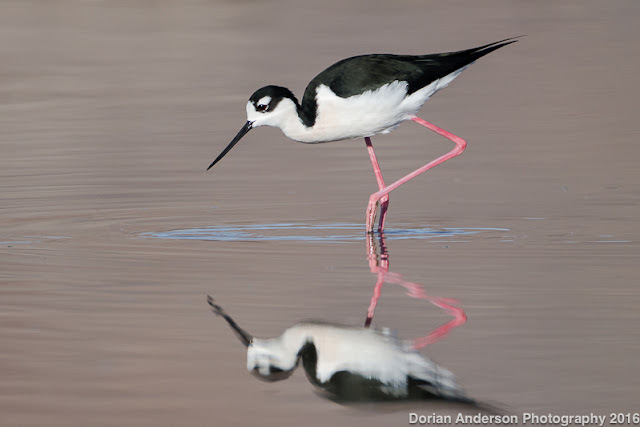 Shorebirds, in particular, require the photographer "get low" so as to imbue the otherwise small, ground-level birds with the sort of gargantuan personality that draws a viewer into the photo. Sadly, I don't have any "high-angle" shots as I have from day on subscribed to the eye level theory. I can, however, illustrate how important the resultant eye-contact is. I was able to get low on both these shots, but the head angle and gaze really makes the second a whole lot better than the first. The first photo was taken back in 2013. The shot is almost there, but he's not looking directly at me and the shot lacks the desired connection as a result. This next guy knows I'm there, and he's giving me a nice look as a result. I'm always looking for similar engagement from my subjects. 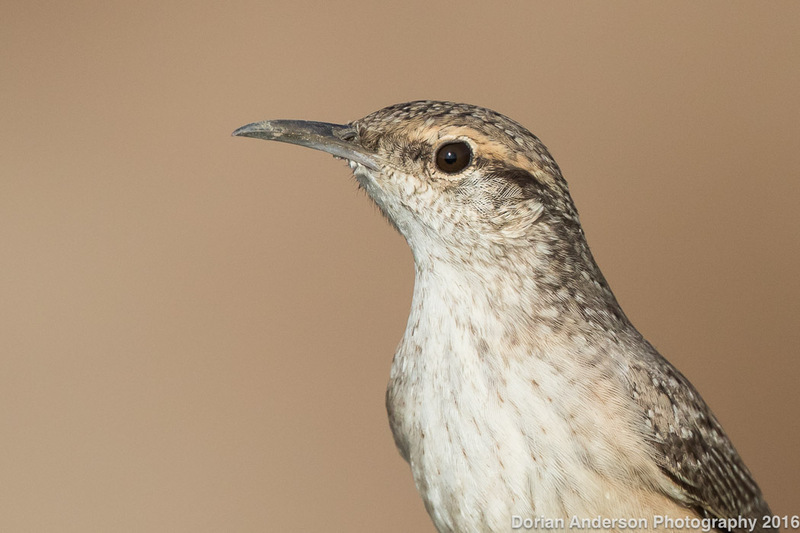 It all hangs on the precise angle of the bird's head and gaze when the shutter is pressed. Sometimes I get lucky and at others I miss by a fraction of a second. That's what makes it fun, right? This one is really, really tricky. I generally seek clean frames, that is, frames that contain as few distracting elements as possible. 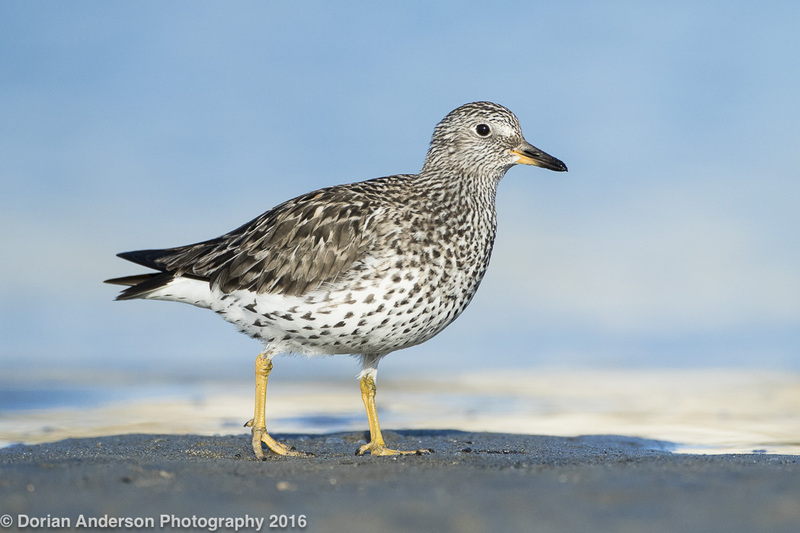 The Surfbird above is an example of a really clean shot. 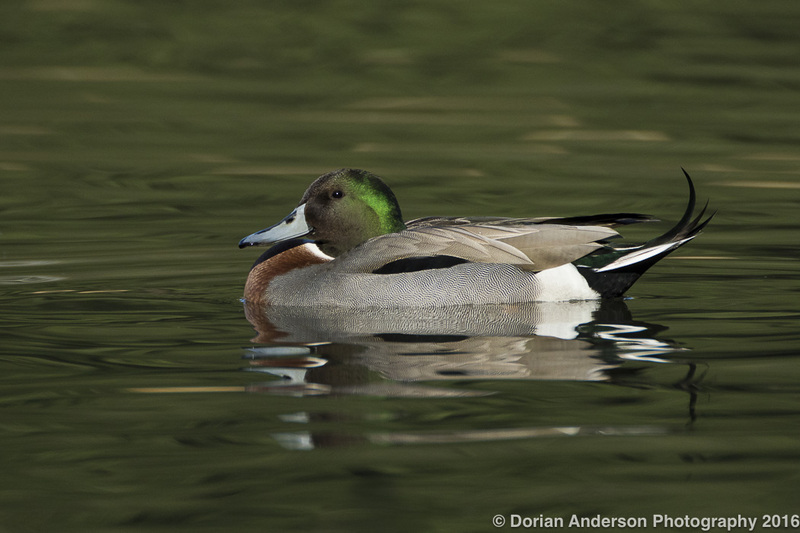 However, clean shots often neglect the surrounding habitat and how the bird usually appears in it. This is particularly true for passerines (perching birds). This next shot is from 2012. It's nice, but there are a lot of leaves that muddle up the frame. 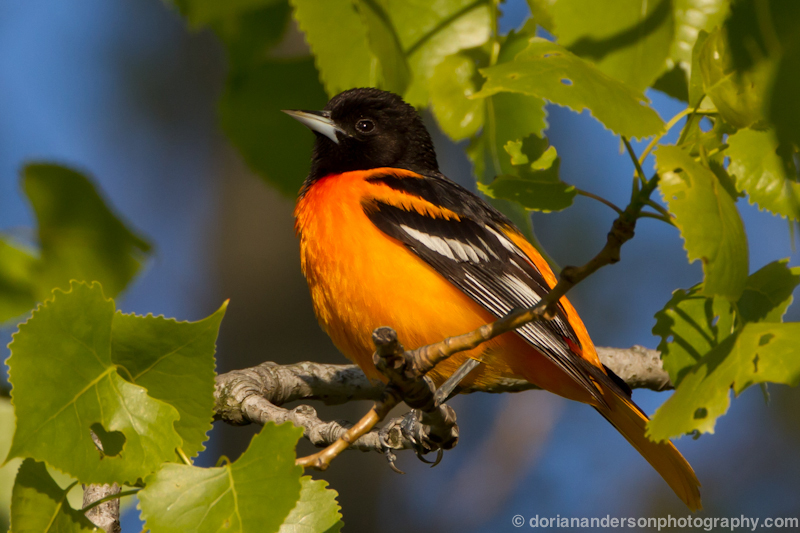 It does, however, depict the Baltimore Oriole as it is often observed in the field. This is what I might call a nice 'in-habitat' shot. leaves in front/behind in partial focus. Compare that to the next shot, a clearly set-up shot. By 'set-up' I mean I was in a blind and there was a feeder strategically placed just left of this perch. The bird 'pops' much more against this clean, preconceived background that it does in the admittedly more spontaneous, more natural looking shot above. I have also generally "loosened" my crops over the years to included more habitat and give my subjects a bit of breathing room in the frame. Balancing subject and surrounds is more of a stylistic preference that anything else. It's also possible to create "birdscapes", landscape shots that incorporate birds. I've recently tried my hand at this, but it is tough to find a situation where it works well. Here is one of my better efforts. I think this shot really shows the habitat and context nicely. This is pretty self-explanatory; Shots of birds doing things are more interesting than shots of birds just standing there. This is sometimes really difficult to accomplish, particularly when it comes to small birds like passerines that move really fast. Even if it's just something subtle, like the body lean and leg lift in the Hooded Oriole shot above, any amount of action strengthens the shot. Flight shots are surely some of the most prized, but they can be really challenging to acquire. Here are two shots where I think I did OK.
***in hindsight I have no idea why I was at ISO 400. I probably shoudla been up at 800 or 1600 given the cloud cover. If there's a criticism I have of my own photography, its that all of my shots are similarly structured and proportioned. The bird occupies a similar part of the frame with some space and perhaps some amount of habitat for context. My shots are a bit formulaic, but the formula exists for a reason (because it generally produces nice photos!). I really haven't transitioned to making more creative, artful photographs at this point in my photography "career". Part of that is that I am a birder, and I do like seeing all the relevant field marks on my subjects. I would like in the future to break away from some of the conventions on which I still rely. Maybe I'll have an update a few years from now. A special thanks to Light for inviting me to participate in this project. It was quite a bit of work to put this together but was an equal amount of fun! Until next time, be good to each other, will ya? Trying harder to stay apolitical. This past week I traveled to Harlingen, Texas for the 23rd annual installment of the Rio Grande Valley Birding Festival (RGVBF). This was my second trip to the internationally recognized birding event. Last year, I gave the keynote talk and led 2 bike-based field trips, one at Bentsen State Park and the other at Resaca de la Palma. Those outings were the first biking trips the festival had ever run, and the feedback afterwards was so positive that this year the festival organizers scheduled me for 4 trips! This year's installments were no different, and participants really seemed to enjoy themselves on the bikes. If you are on the organizing committee for any birding festival, please do consider adding a bike trip or two if at all possible. 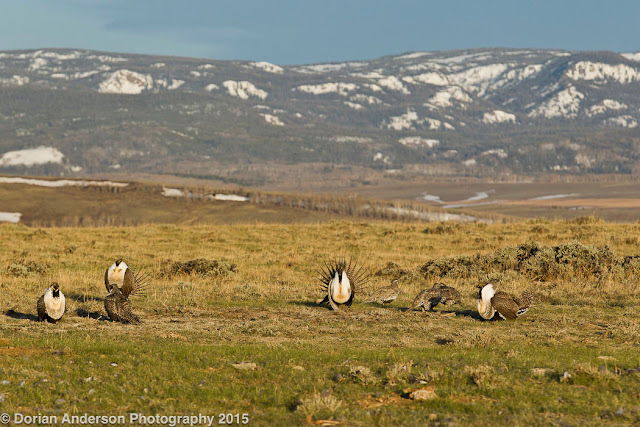 It is a great way to bird, and it offers participants a nice break from the driving and walking that necessarily characterizes the vast majority of festival field trips. 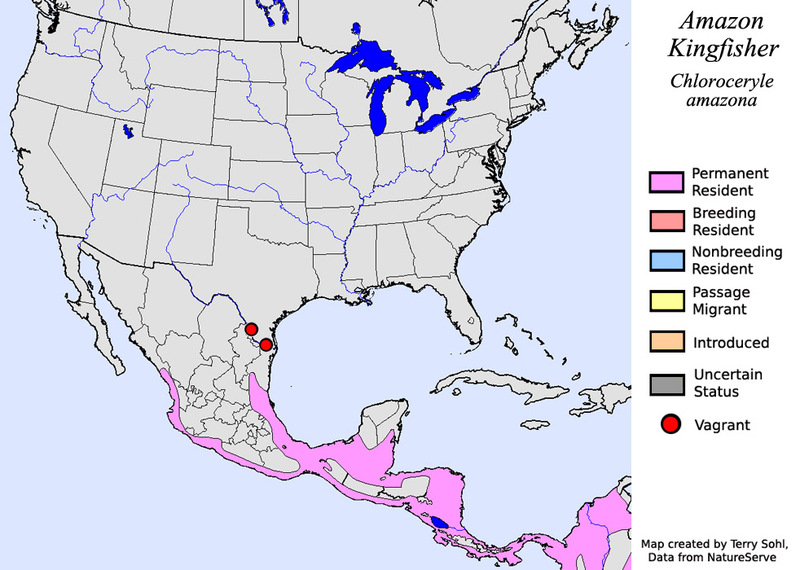 Anyway, rather fortuitously, an Amazon Kingfisher appeared at Zacate Creek in Laredo just 2 days before the festival commenced. The individual represented just the 3rd ABA record, the first being from that same Zacate Creek in 2010 and the second being from north of Brownsville in 2013 (red dots, above map). The species is thus a really rare bird in the ABA area, and, as it stuck around for following few days, I rented a car one afternoon and drove to Laredo to collect the wayward individual for my ABA list. The round-trip drive drive was 365 miles and took about 6 hours. I had stunning views of the bird, and I used an entire tank of gas in the process of getting there and back. Lastly, here's a fun video from Colombia last week. The first bird to appear is a Great Sapphirewing, the second largest hummingbird in the world. 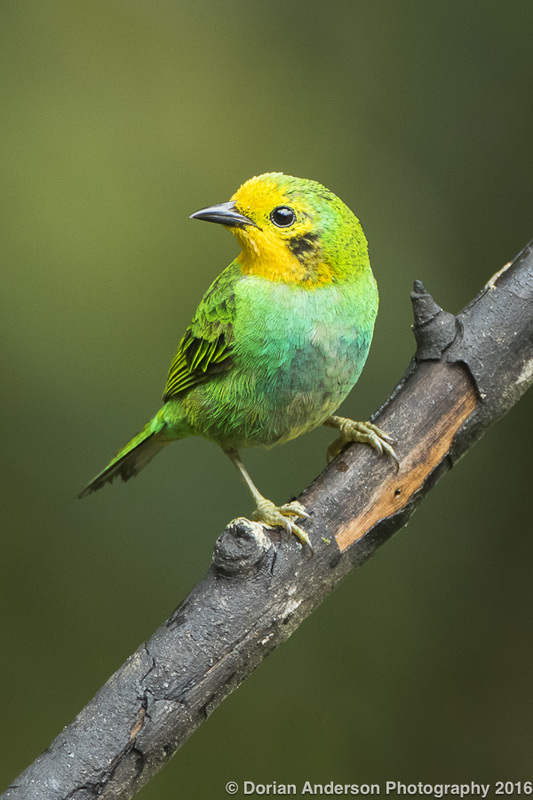 When it departs, a smaller but no-less spectacular Golden-breasted Puffleg appears. It was an incredible thrill to have the birds feeding right in/on my face! Whew, made it - no politics. Amazing. For those that haven't yet heard, the ABA this past week voted to bring Hawaii under the rather arbitrary umbrella that is its jurisdiction. The most notable consequence of this largely symbolic change is that ABA birders can now count species that they observe in the 50th state towards their ABA totals. Beyond this, the decision has few functional consequences, but no one would know that from the amount of debate that the change has precipitated. Most of the debate centers on how ABA birders will administer their life lists moving forward. This is a rather trivial consideration as far as I am concerned, so what the heck is all the ruckus about?!??! I'll do my best to briefly outline the debate. I'm sure I'm going to miss a point or two, but from what I've read I think these seem to be the main concerns of those who pushed for Hawaii's inclusion and those who pushed against it. 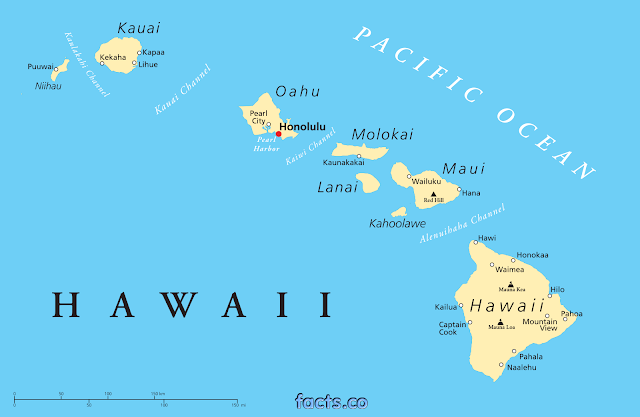 - The ABA area includes the other 49 states, so it may as well include Hawaii as well. - Including Hawaii in the ABA area will make it easier to highlight the conservation challenges facing the state and its species. - It will inject some fresh species into the ABA birding equation. 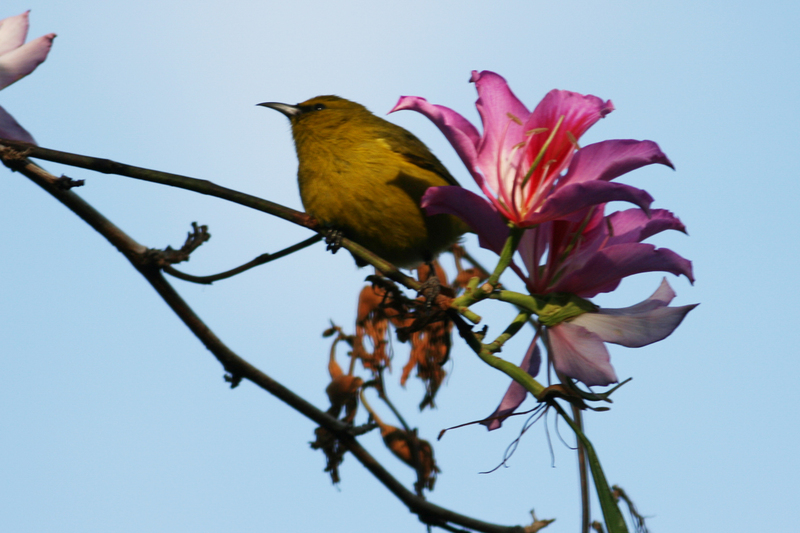 - Hawaii's birdlife is more Asian than it is North American. It should be lumped into the South Pacific or Oceanic region, not the ABA area. 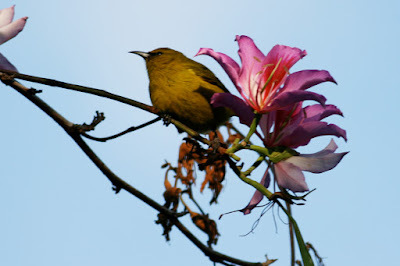 - Hawaii is too far away and/or isolated for most birders to visit. Its inclusion in the ABA area mostly benefits those with sufficient funds to reach it. - The decision reflects the wishes of the ABA brass more so than the average birder. - If Hawaii is added, Guam, Puerto Rico, and other areas might weedle their way in as well. - Hawaii hasn't traditionally been included in the ABA area, and it should stay that way. I can totally understand the argument that Hawaii may as well be included so as to bring it in from the cold, so to speak. If someone had 8 kids living with him/her but had only formally adopted 7 of them, the last one would understandably feel left out. From from an inclusion standpoint, I'm on board. Sure, some Hawaiian species, native and introduced, might seem misplaced considering the avifauna more traditionally encompassed in the ABA area, but who really cares? We love vagrant species precisely because they don't fit into our ABA or North American boxes. Yes, Hawaii had a disproportionate number of introduced Asian species, but that's the way the world is going. 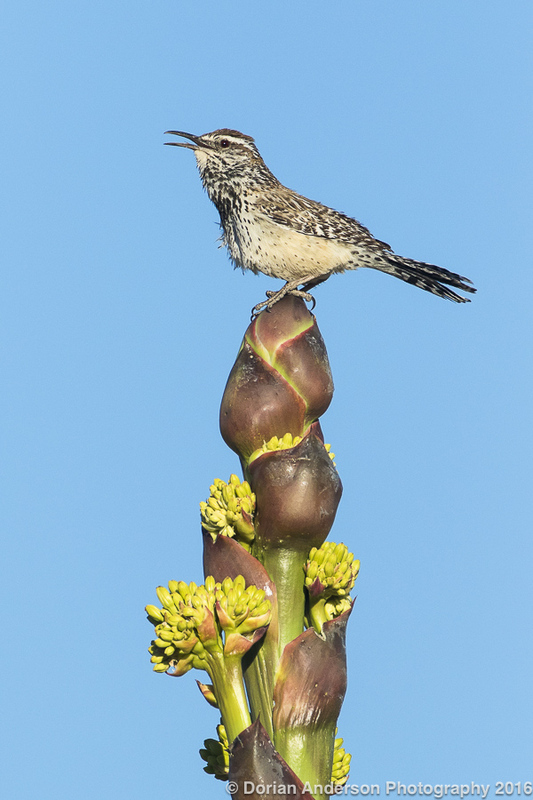 ABA birders currently count all sorts of introduced species, so Hawaii really isn't that different. A visit to South Florida or Southern California will easily reinforce this notion. As for the conservation argument, I guess it mostly holds water - if we put on hold for a minute the certainty that including Hawaii in the ABA area will, if only in small amounts, drive increased numbers of birders to the islands as they try to build up their ABA lists. 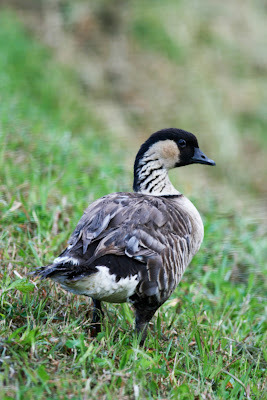 I generally think that the increased attention on issues of Hawaiian conservation will outweigh what pressure increased traffic from birders will cause, but we'll have to see moving forward. As Hawaii is far away, getting there can be expensive. It just doesn't strike me that reaching Hawaii is any harder or more expensive than reaching many of the more remote points (Dry Tortugas, Northern/Western Alaska, e.g.) already included in the ABA area. I also think that a person is smoking crack if its his/her birdlist alone that motivates a trip to Hawaii. The archipelago is as culturally and biologically distinct as anywhere on the planet and makes a fine vacation destination regardless of whether or not its bird species count towards one's ABA list. If one is thinking that he/she now "has to" visit Hawaii to keep up with the listing Joneses, I think that that individual needs to take a serious look at his/her priorities. My one visit to Hawaii was amazing - the people, food, scenery, and everything else as much as the birds that I saw. And, at this point, let's just call a spade a spade: Big time listing is more a function of money than anything else - birding skill or more general ecology knowledge included. This is why I don't really put a ton of emphasis on it. Yes, I know exactly where my own list currently stands, but I fully recognize that it says little about me as a birder or, more importantly, a human being. That some percentage of people might not be able to afford to travel to Hawaii shouldn't be a reason to exclude it. Hell, I can't afford to got to Gambell, Barrow, St. Paul, Adak, or Attu (mainly because I spend all my money on camera gear instead of running up my list), but that shouldn't be a reason to for me to whine about their inclusion in the ABA area. Each person should be content to bird within his or her own means. Everyone is always going to wish for more, myself included. That's not a reason to impede those who can from doing. And, since it was brought up in one online debate, I feel ZERO pity for some hard-core ABA lister who hasn't been to Hawaii being "jumped" by someone lower on the roles who has been to Hawaii. If one is so high in that ABA rankings that it matters to quibble over species, he/she certainly has the funds to go to Hawaii and collect those additional species. Ain't to many broke folk above the 800-species plateau, right? RIGHT? 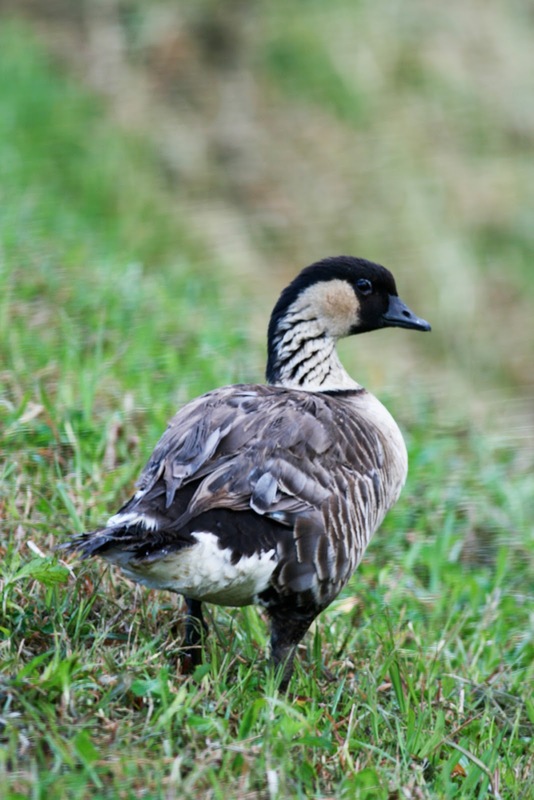 Hawaiian Goose - also from my early days! The decision to include Hawaii was not made by some grand dictator. While the ABA brass might have favored one outcome over another, the proposal ultimately passed by on an 80/20 percentage among the 2,000 people who voted on it. It was a small sample size, but, given the spread, the final outcome is likely representative of the larger community. It never got near "hanging chads" in this particular instance. Lastly, I totally hear the argument for tradition. Even though I will get an instant bump of about 30 species or so from Hawaii's inclusion, I'll still cling tightly to my 712+2 tally moving forward. In fact, the next lifer I get will to me be #713, not #743 or whatever it proves to be with my Hawaiian birds thrown into the mix. I may at some point come around and starting quoting the full number, but for the moment I'll stick to what is familiar The bottom line is that adding Hawaii doesn't really change anything - unless you want it to. If you don't want to count Hawaiian birds, then don't. It's really that simple. I imagine most readers could care less about this decision, and that's really the way it should be. It won't change the fact that most all of us will spend what free time we have in the field, near to home or farther afield. I would have been fine had the Hawaii issue never surfaced, and I'll be fine now that the state in included. Its inclusion makes more sense than nonsense, and I probably won't give it much thought moving forward anyway. And, since I just got back from a really fast trip to Colombia, I'll post the best photo that I collected during my only two days of birding in the Andes. Like my first visit in March, I was brought along on a press trip as a writer/photographer. We are hoping to package my content from this trip with that from the first for a rather long essay on Colombian birding. (We were waiting for the peace deal to pass to release the content from my first trip which is why it hasn't materialized - yet.) So, please stay tuned for that at some point! I will venture to say that it is going to take one hell of shot in the next two months to displace this shot as my favorite for 2016. I couldn't believe my luck when this incredibly secretive bird stepped right into the one beam of light that penetrated his usually dark, tangled, and understory home. Post # 79 - My desire to photograph every bird, Rock Wren included! One of the things on which I pride my photography is my desire to shoot every species regardless of how magnificent or ordinary it appears. 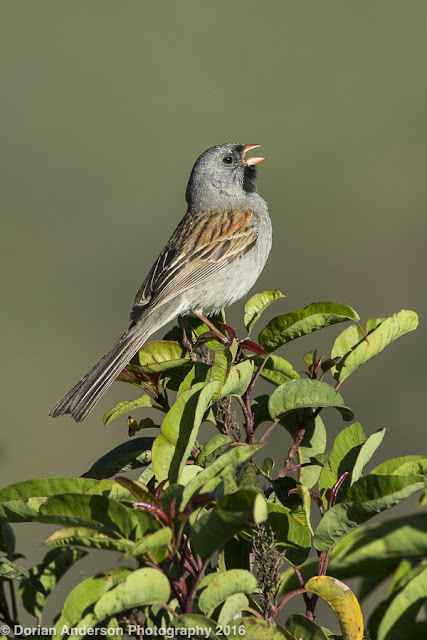 I imagine that tendency stems from my birding background, where I have over the years probably spent more time sorting out the identification of small brown birds than I have anything else. A species is a species, after all, and each has it own evolutionary history, behavioral trivia, and identifiable field marks. Beyond a challenging and rewarding endeavor unto itself, I have found that photography, and particularly photography of those usually less magnificent species that are more difficult to identify, has actually made me a better birder. Its tough not to learn the birds better when one spends as much time as I do staring at them on my computer screen! Anyway, I bring this up as I was last weekend doing some general LA County Birding at the Santa Fe Dam Recreation Area when I heard a Rock Wren calling behind me. I took a few steps towards the source only to see a small bird come flying directly at me. The curious bird lit on a rocky slope and began actively foraging just 20 feet from me. He was quite approachable, and, with nice light even in the later morning, proved to be a very nice photographic subject. 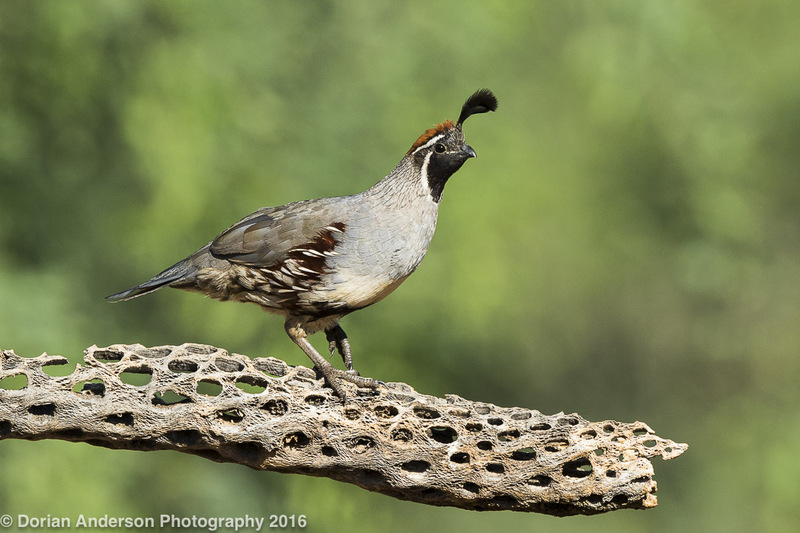 I had photographed this species well only once before (in Colorado in 2014), so I seized on the opportunity to follow the bird around for the better part of 15 minutes. It was really a lot of fun, and I am very happy with a few of the shots that I captured. 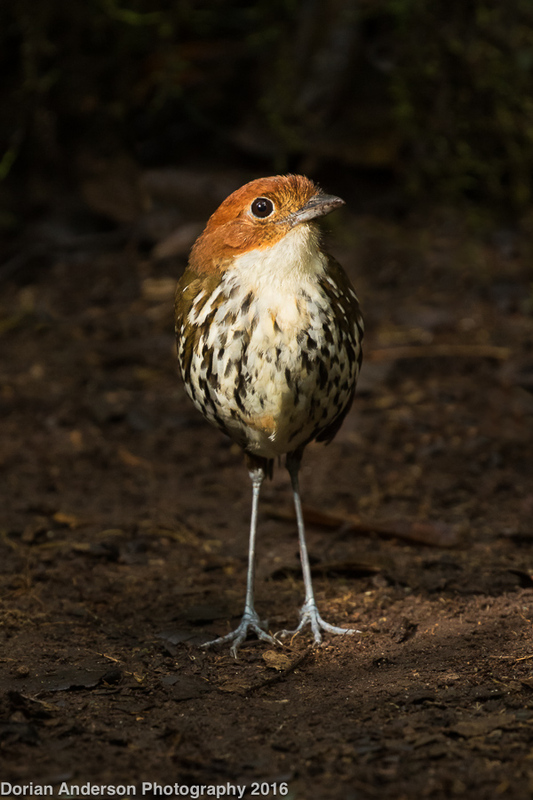 Though not a particularly flashy bird, he is perfectly at home in rocky habitats that discourage many other species. I particularly like the close-up shot as it affords a perspective on this species that isn't often appreciated. For these shots I really went to great lengths to keep distracting background elements out of the frames. Though sometimes I like to have a bit of habitat context, here I wanted all the focus to be on the bird. 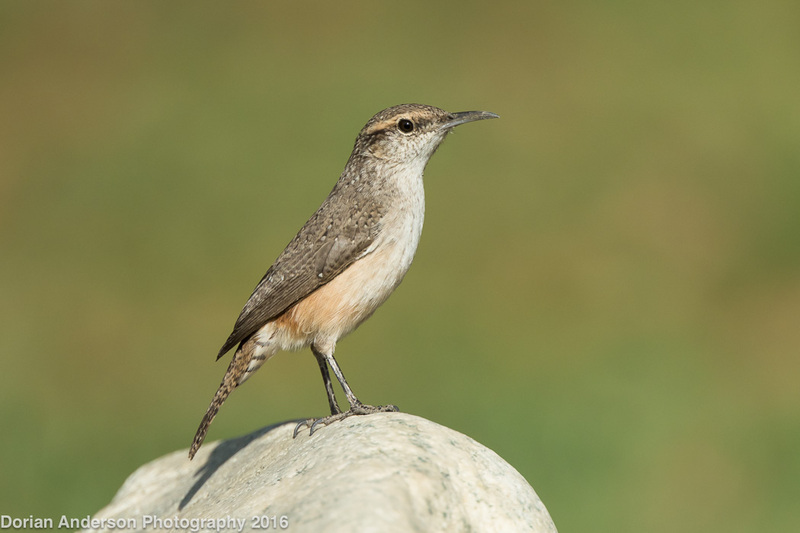 My hope is that such clean shots of this Rock Wren will forever etch the species into your birdbrain the way they did into mine. Oh, as a last aside. I actually put together a gallery-collection of my favorite headshots on my website. I know some folks really enjoyed my headshots from a few posts back, so I decided to collect more of them in an organized form on my photography website. For those who are interested, you can find that gallery here. While I am not a no-holds-barred-sort of ABA lister, I certainly enjoy the occasional or indulgent foray into the sometimes taboo pastime. Rarity chasing injects a distinct sort of excitement into the birding process, and it almost inevitably yields some memorable or funny story irrespective if the sought bird is found or missed. For example,I have chased 3 would-be ABA lifers in the last year: Gray Thrasher, Streak-backed Oriole, and Marsh Sandpiper. I was - thankfully - successful on each occasion, but the California Records Committee later tossed out the thrasher on grounds of questionable provenance. Regardless, each of the chases was a fun and exciting exercise and will be forever a part of my birding memory. However, the excitement of chasing rarities, "poaching" as I often refer to the process, pales in comparison to finding rarities for myself. The feeling when I realize that I am looking at something totally unexpected simply isn't replicated by chasing previously reported birds. The last time I had that feeling was the 1st ABA record of Red-legged Honeycreeper that I helped find and document during my 2014 bicycle Big Year. 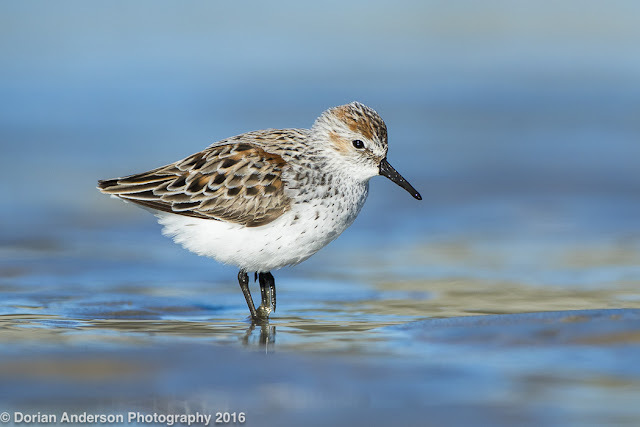 I bring all this up as I, alongside Orange County birder Roger Schoedl, found a fantastic rarity in Central Park in Huntington Beach this past Saturday. Roger initially spotted the bird low in the lake bed, and I soon picked the same bird as it made its way towards me. We didn't really have any solid leads on what the bird could be as it had so few field marks. Its eyeline and overall brown color were really all we had to go on. 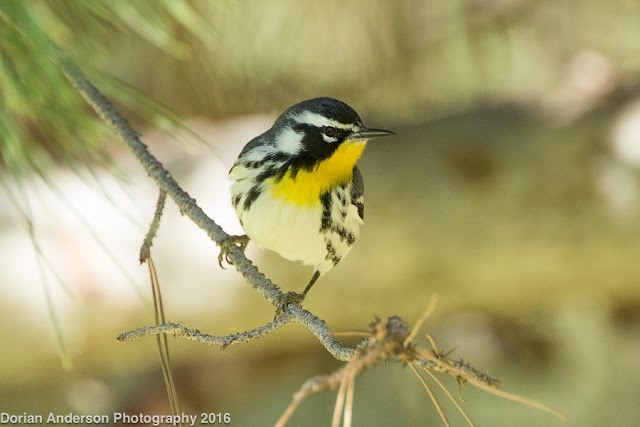 We kicked around a number of possibilities, mostly in the warbler and vireo realms, but nothing really fit given our brief views. Finally, the mystery bird sat still long enough for me to get a decent photo. When I reviewed the photo on my camera, I immediately felt my mind turning over the possibilities. I knew we had something, REALLY good in front of us. I said to Roger, "Dude, call me crazy but I think this might be something from the Old World, like a Dusky Warbler." This was as around 8:50am. We watched the bird for another 5 minutes or so before it vanished into a large and impenetrable tangle of reeds, branches, and bushes. We immediately called a few birders who we knew were nearby. Two of them arrived in time to see the bird when it resurfaced 40 minutes later. 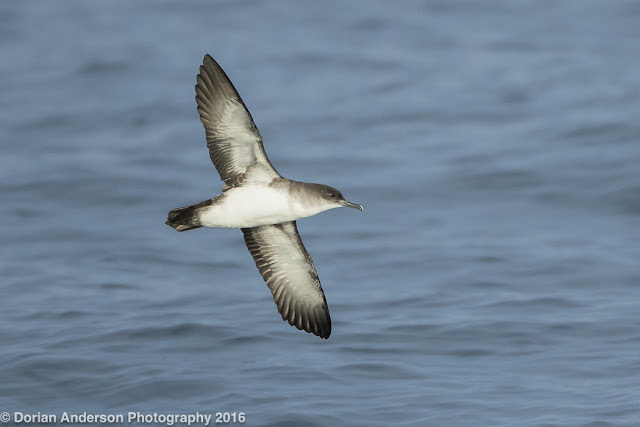 That second appearance was painfully brief but enough for Brian Daniels, familiar with the species from time in Eurasia, to confirm the ID. At that point all alarm bells were sounded. Birders gathered through the afternoon, but the bird never resurfaced. Dozens of people searched all day Sunday, but the bird wasn't refound on that day either. So, it was apparently a one day - nay a hour hour - wonder! It was super exciting to find such an incredibly rare bird (ABA Code 4) during what I thought would be a pleasurable but otherwise routine swing through one of my usual haunts. You never know, right? That's a big part of why most of us love birding! 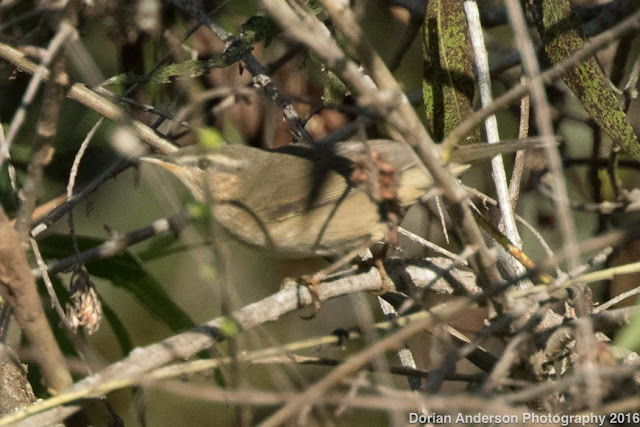 Ironically, Dusky Warbler was on my radar screen as one had been found in San Francisco just last week. I decided against chasing that bird as SF was too far and chasing migrating passerines is usually a losing proposition. 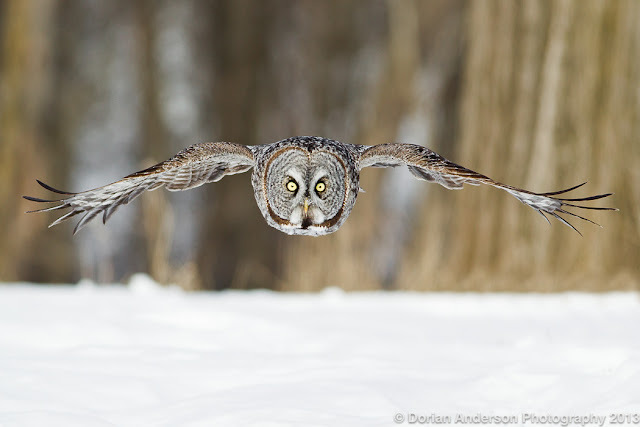 I did look at a lot of the photos of that Dusky, so those images were fresh in my mind when our bird appeared. It is, of course, tempting to speculate that out bird and the SF bird are one and the same. The SF bird could have easily made its way to Huntington Beach during the intermittent week or so. There's no way we'll ever know for sure, but it's fun to consider the possibility. As rare as Dusky Warbler is, we probably miss a hundred for each one we find. 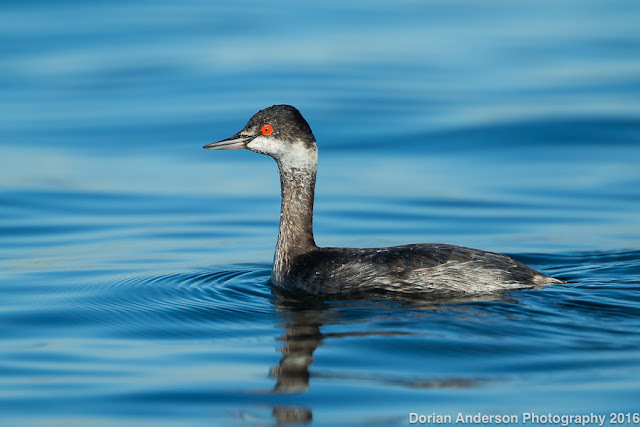 I find it amazing that our bird (and the other CA birds) migrated to the correct latitude on the wrong side of the Pacific! Alaska sightings from Gambell, Pribiloffs, and Attu. All other North American sightings from CA. 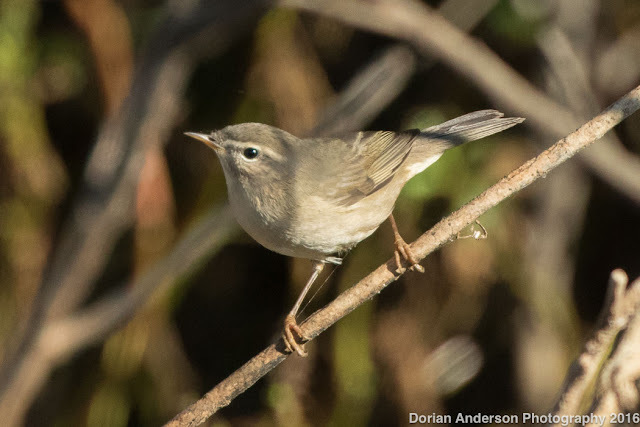 Dusky Warbler sightings in California. Orange pins are from the last month. Ours was the first in SoCal in 20 years.